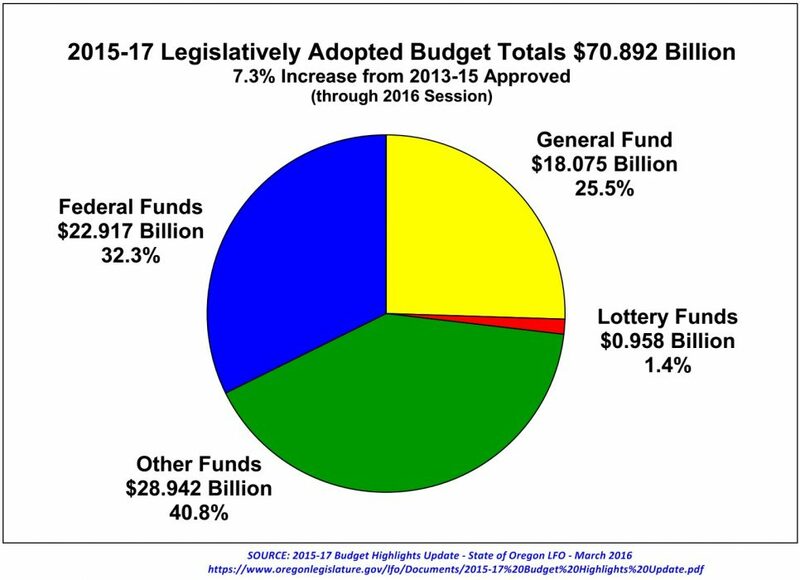 Last week the 2015-17 Budget Highlights Update (which includes 2016 “short session” actions) came out from the State of Oregon’s Legislative Fiscal Office. It’s an update to the current 2-year Oregon state budget – the 2015-17 Oregon budget passed in the 2015 Regular Session. As I noted last July, this General & Lottery Funds budget “reflects a staggering increase of $2.1 billion from the previous $16.8 billion budget.” That was on top of another staggering increase of around $2 billion from the previous budget cycle. 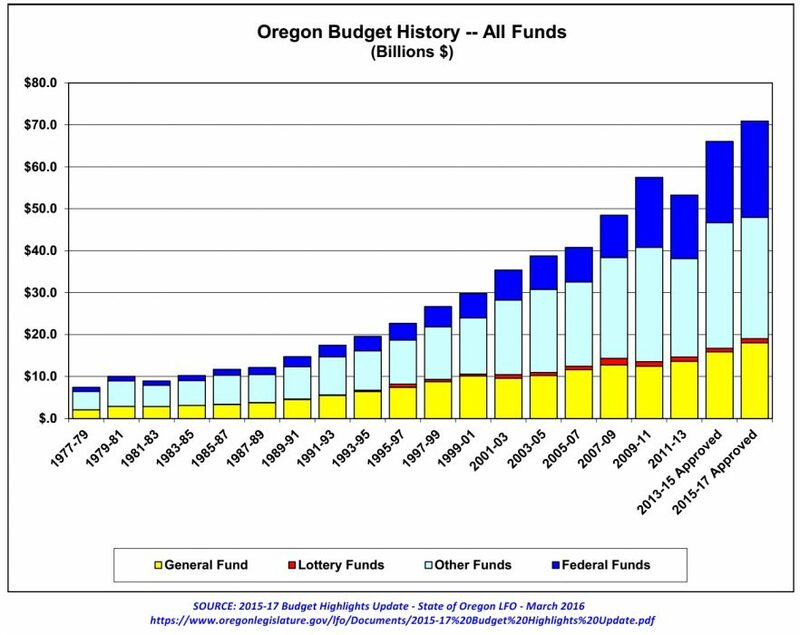 Last week’s update contains charts that show the continual rapid growth of the Oregon budget. The charts show the General & Lottery Funds budget grew over $6.5 billion in just the past 10 years – from around $12.5 billion in 2005-07 to $19 billion now! 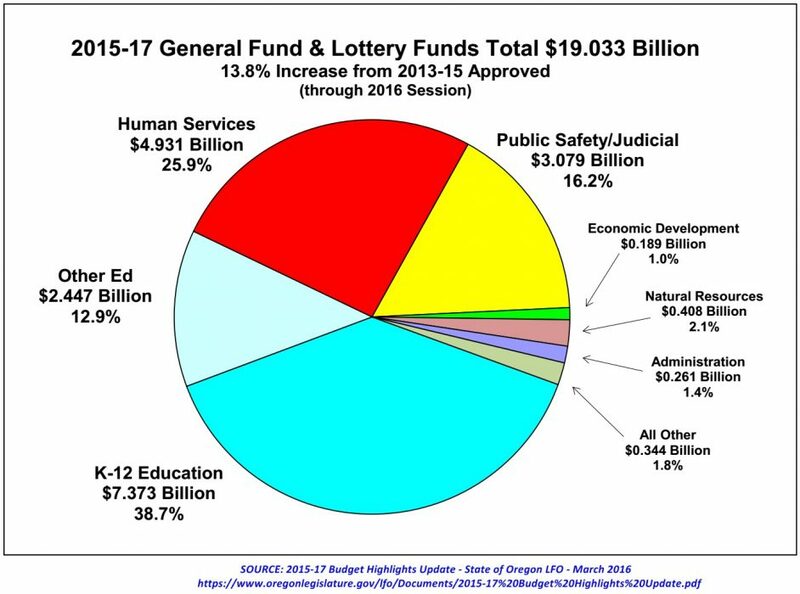 In last week’s update, the current General & Lottery Funds budget is now $19.033 billion. That’s an increase of $134 million from when the current budget was first passed – $18.899 billion back last July. 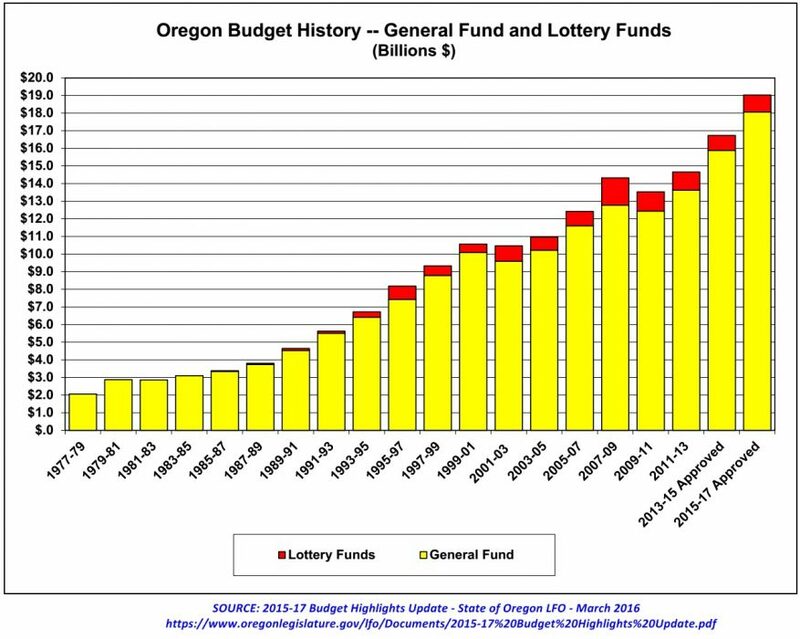 Charts in last week’s update also show continual staggering growth in Oregon’s All Funds budget. The All Funds budget has grown $30 billion in just the past 10 years – it is now $71 billion!